Discussion in 'Photo Album' started by gfercaks33, Apr 17, 2016.
figured I would start a thread for this, I tend to make a bunch of stuff out of necessity or pure boredom. This weekend I got a flip cap for my hydro flask but one Problem, the flip cap doesn't have a handle. 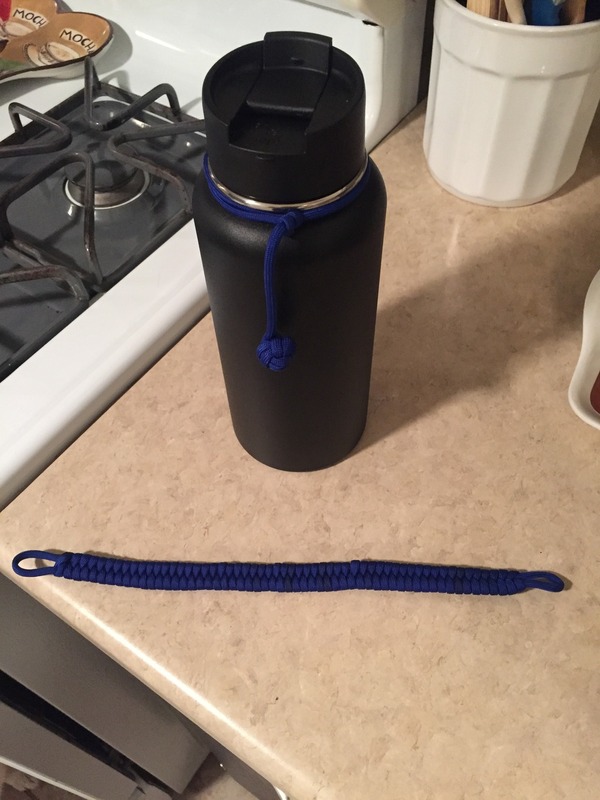 So I made one from paracord, I used a 00 buckshot pellet for the monkey fist, and a taught line knot to hold it to the bottle. 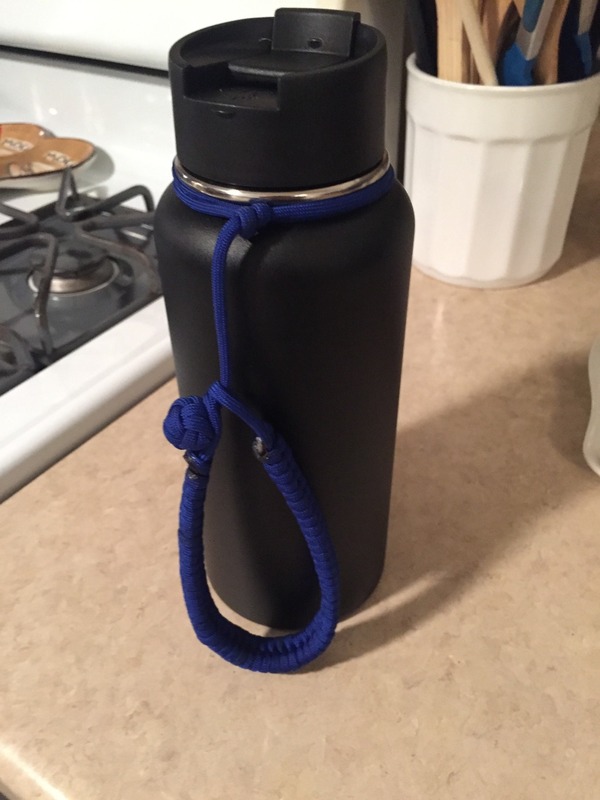 I made the handle easy to put on and take off incase I don't need or want it. 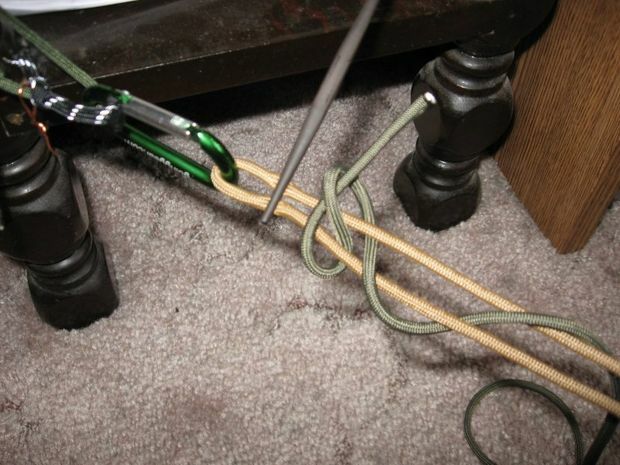 Very nice...what knot did you use on the wrist-let/retaining strap? Two guns on the wrist loop I got a length of cord that I heated the end and fused them in a loop. After that I used a pair of vice grips to mark one end on the loop, with a simple over under weave around the loop as a core. When I got to the other end I eyeballed to have the same amount of a loop. Very interesting. So here is my throw in. My Mother in Law has been in a power chair for as long as I have known her and while you can have a raised height toilet put in an apartment most places require them to be left when you move out. Add to that needing a little extra wiggle room for shifting and I came up with this. Everything is 3/4 plywood except for the blocks on the front rim. The block on the back of the rim is hollow and allows carriage bolts to pass through to the tank which is the only point of attachment. Weight is spread evenly to the bowl and box legs depending on where the user is situated and allows her to transfer from her chair which is brought in at a 90 degree angle from the toilet and shift over as she needs with a minimal gap. She has used this for over seven years and it has been in use in three different states with only minor modifications. Needless to say it has been well used and is much more sturdy and stable than some of the aluminium and plastic risers while adding extra space for positioning. Wow let's revive this thread! I love some good DIY. Here's one ive been tinkering with, but it's a slow process. I'm taking a surplus shovel (5$) and trying to turn it into an crazy beaver/murder spork shovel. It's a pain because I don't want to use a cut off wheel or dremmel and get it so hot it looses its temper. When I'm done It will be a fine tool in the jeep. So what are you using to cut it? A file or something? Hacksaw? Here is one of my finished projects I did for my wife for our bedroom at our lake house. I thought it turned out pretty great. Catt57, Woody's Janitor, p238shooter and 9 others like this.